A universal phenomenon, digital disruption is driving economic and customer value across industries in India as well. 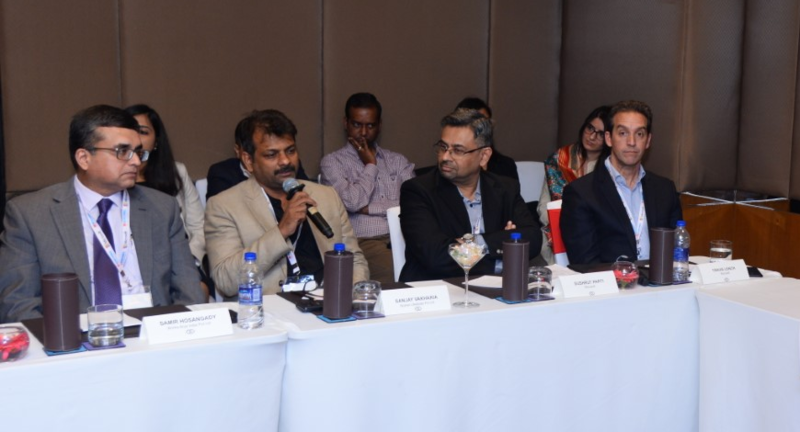 A roundtable of industry stalwarts saw them welcome the impact of digital disruption as a positive for an evolving and growing economy like India’s. Digital disruption has come to be embraced in a big way by Indian industry leaders as the key driver of business in a world where technology is changing incessantly. Organizations now understand that it is compulsory to put the customer at the center of their strategies and decision making in order to stay ahead of the curve. A BW Businessworld roundtable on ‘Leading through Digital Disruption’ sought to understand the potential of this evolution to grow businesses and create different growth avenues across industries. The discussants highlighted the impact of digital disruption, changes in cultural values, best examples and use cases vis-à-vis their own businesses as well as other businesses. While tech-oriented organizations saw the change before others did, the banking and finance industry is opting for evolving traditional banking and accepting digital transformation. Customers are opting for financial institutions that can provide services on the touch screen. Kapil Kuwelkar, Founder & CEO, Cirrius Technologies brought forth the viewpoint of the pharmaceutical industry. He said: “I see it from the lens of someone who learnt from the pharma industry. We are also seeing the change since the past 15 years and today the difference is that digital disruption has happened at a consumer level. The same is the case with doctors and patients. But ever since majority of industry leaders began adapting to this era, for the rest of the players digital disruption looks like a gun to your forehead. It will be exciting to see the result of this journey after five years but for now the ones changing faster are the ones leading the change." The fashion industry, like most industries, is finding effective use cases to adapt technologies like artificial intelligence and machine learning. In the meantime, it is also ahead of the curve by providing futuristic experiences in the e-retail space. Says Sanjay Vakharia, CEO, Spykar Lifestyles: "At Spykar there are 3-4 large areas where we see substantial use of technologies and digitised infrastructure. Designing has embraced AI because it is simpler to validate designs for the trends and coming seasons. We are embracing any innovation that comes our way at an early stage. E-commerce was a threat for us but off late it is making life easy for people and is a complimentary challenge that we are enjoying tackling while understanding better to optimise our inventory. We have a lot to embrace from this process of evolution and new age media." While many speakers stated the advantages of digital disruption and technology inclusion, major change seemed to have eluded the infrastructure industry. According to Om Ahuja, COO, K Raheja Corp, "The infrastructure sector did see transformation across other businesses but there was not much disruption in ours. That being said, futuristic designs and technology advancements can produce opportunities in a digitized economy. With the adoption of smartphones and penetration of data, we too aim to build products and services keeping in mind customer ratings and quality parameters." As far as the sports industry is concerned, digital disruption has helped take fan engagement to the next level. Says Siddharth Raman, Chief Business Officer, NA Sportz Interactive, “We are here to evolve sport fans on the basis of digital services through our application and online platform. We evolved from a data analysis to a tech to finally a sports company and our services since 2010 include fantasy gaming, multiscreen and gaming attention. We have adapted very well to this evolution and the next wave in which we see ourselves contributing to is the mobile ++ interactions on more than one screen." Next came the perspective from the entertainment sector with regard to the experience of cinema halls. Talking about his expectations from digital disruption, Alok Tondon, CEO, Inox Leisure said: “The entertainment business has a lot to do with emotions and our challenge is to understand a way to humanize technologies while moving away from our legacy processes. Digital is something where I have to beat expectations of my consumers and we are still finding ways to overcome these hurdles where traditional and new-age business practices collide. I feel that entertainment is understanding digital as a need of today while also driving faster results and profits." The roundtable saw interventions from key industry personalities including Sunil Khosla, CMO, AGS Transact Technologies, Kumar Karle, CEO, Tech Process Solutions, Abhinav Bhalla, AVP -- Product Head, CTM Stargari Finance, Samir Hosangady, MD, Brinks Arya (India), Laltendu Sahoo, Associate VP -- Technology & IP Intelligence, Netscribes (India), Gautam Jain, Owner, Seshaasai, Janak Malkani, Executive Ditector, CB Richard Ellis South Asia and Milan Ganatra, CEO, Miles Software Solution. 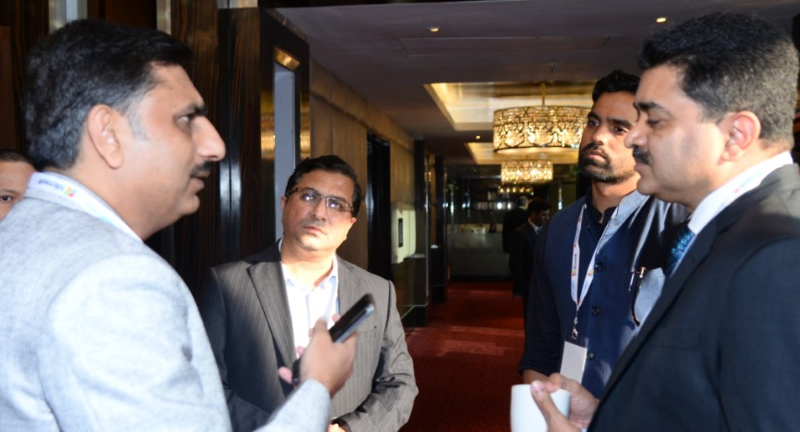 The evening's discussion hosted by BW Businessworld was held at the Sofitel, BKC, Mumbai on 14 March 2019.